Product categories of Granite Wall Tile, we are specialized manufacturers from China, Faux Granite Tile, Granite Wall Panel suppliers/factory, wholesale high-quality products of Granite Exterior Wall Tiles R & D and manufacturing, we have the perfect after-sales service and technical support. Look forward to your cooperation! 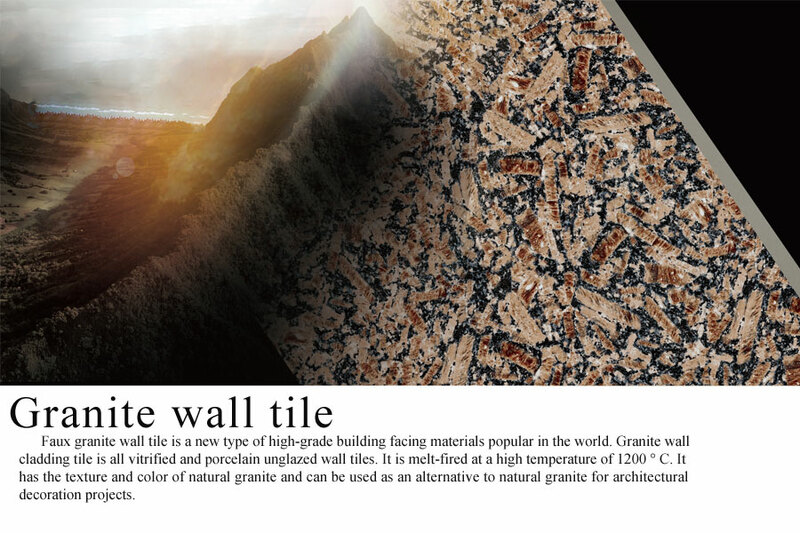 Faux granite wall tile is a new type of high-grade building facing materials popular in the world. 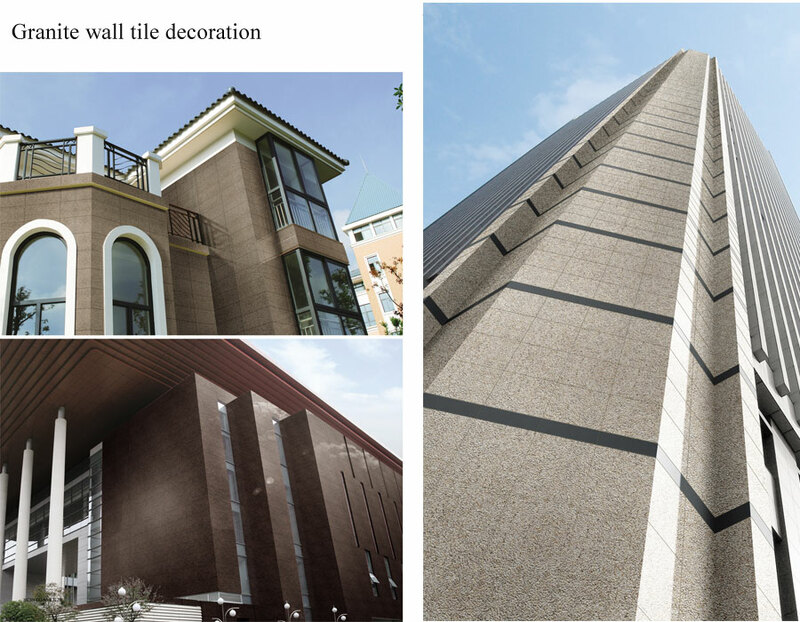 Granite wall cladding tile is all vitrified and porcelain unglazed wall tiles. It is melt-fired at a high temperature of 1200 ° C. It has the texture and color of natural granite and can be used as an alternative to natural granite for architectural decoration projects. Faux granite tile have high degree of vitrification, high strength (Mohs pressure is higher than 6), low water absorption (less than 1%), high flexural strength (more than 27 MPa), wear resistance, frost resistance, pollution resistance and durability. Can produce litchi finish, matte finish and polished finish. 1. Strong physical properties, especially suitable for use in areas with harsh natural climatic conditions such as high dust pollution and high acid rain concentration. 2. Hard texture and acid resistance, wear resistance, good slip resistance, normal scratching will not cause damage. 3. Granite wall panel range is rich in variety, and the flexible and ingenious design of different specifications, various colors and surface textures can be used to collage colorful and different patterns.